If you buy a brand-new car in the Philippines, you will need to take it to the Land Transportation Office or LTO for an initial registration that will take effect in three years. Once the car registration expires after the first three years, the vehicle owner will need to visit LTO and renew their registration on a yearly basis. Just like all other government agencies in the country, you’ll find that there is a long queue for people waiting fortheir turn. It will seem like you'll be completing this significant transaction forever. It may take a car owner forthe whole day to complete the vehicle renewal registration. If only there is an abundance of time to spend in government offices like LTO, all transactions done with them can seem more convenient, efficient and faster. After three long years of having a registered vehicle, it’s now time to renew the car registration, so you continue running the main streets and roads of the Philippines. Before visiting the LTO, you can do some research through the Internet to see and know the requirements and procedures that you will go through when you renew your registration. In the LTO official website are detailed steps to take, the forms to be filled up and the relevant supporting documents you will need for the renewal. As it turns out, you will need a Compulsory Third-Party Liability (CTPL) insurance before your renewal is approved. This insurance will compensate the family of any person who will become your casualty in case of a vehicular accident. You will also need an inspection report that outlines the specifics of your vehicle and a corresponding emission test to check if the smoke from the tailpipe is beyond the limits imposed by the government. The requirements aren’t difficult to accomplish; however, there are lots of people going through the renewal process, and this makes it an extremely time-consuming activity. There are so many people around that can help you get a vehicle registration renewal all for a minimal fee. 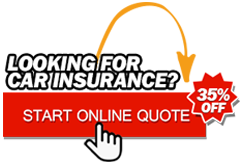 You can even approach an insurance firm and make them work on the registration renewal of your vehicle. However, you need to bring your car to the emission test site just nearby the LTO office. For a reasonable amount, you can have your car tested for emissions. You can leave the car to a trusted company so that they can carry out the needed processes. Once done, you have the registration complete and the sticker for your plate number and windshield both ready as proof of your renewal. You have two choices for the vehicle registration renewal – first is to brave the long queue of people at the LTO or designate a trusted company to do the processing.